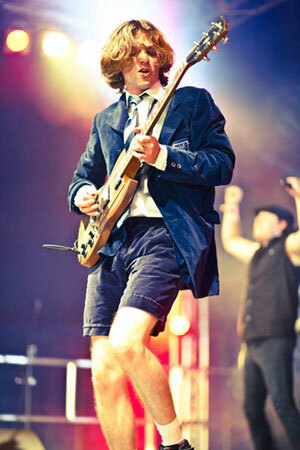 Spook provides the classic Angus Young riffs, solos and sweaty naughty boy antics in the re-creation of the AC/DC show. He has the Angus Young act off to a tee - He duckwalks all over the stage and jolts as though he is plugged directly into his own supply of high voltage Top this off with a pair of school shorts, and your have the same bleary eyed, edge of a heart attack state as Angus Young on stage. 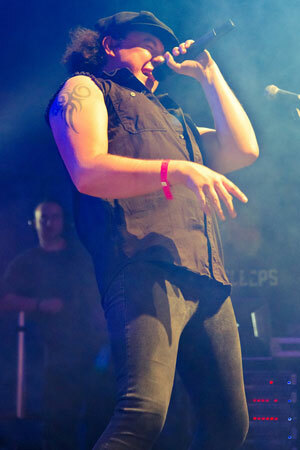 Az brings the powerful, charismatic vocals and stage prescence of Brian Johnson to the party. Beverage Newcastle Brown Ale, and lots of it! Paddy (Rhythm guitar & backing vocals) provides the solid, chunky and consistant guitar lines that are unmistakable in any AC/DC number. Plugging his Malcolm Young Signature Gretsch (with Rotosound R13 strings) via a Line6 Wireless system straight into a Marshall JCM800 100 watt stack, Paddy nails the hard-and-heavy, no-frills sound of Malcolm Young. 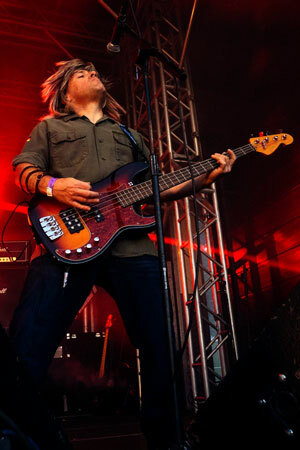 Mick (Bass guitar and backing vocals) completes the 3 man rhythm machine that is key to the AC/DC sound, providing the solid, pounding basslines of Cliff Williams. This massive bass sound is acheived Sandberg California and Musicman Sterling custom basses through a mighty Ashdown custom EVO 800w all valve head and Ashdown custom 8x10 cabs. Wireless comes from Shure and strings by Rotosound... A Proper Trouser Flapper! 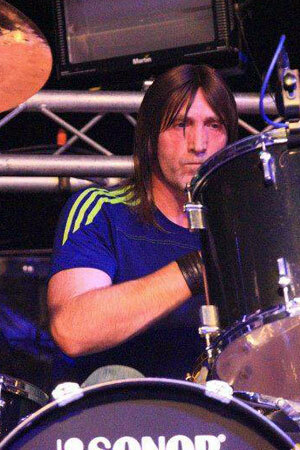 Niall is the powerhouse behind WL/DC's rhythm section. 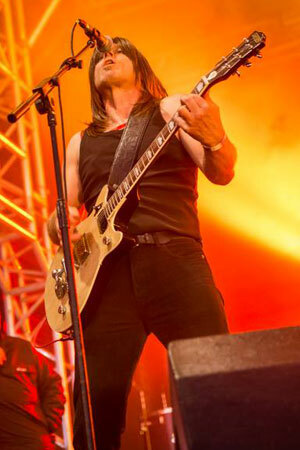 Described by audiences as a "metronome", he keeps the pounding beat that is at the heart of the AC/DC rock solid sound. Niall uses a Sonor Special Edition Phil Rudd Signature Drum Kit as used by AC/DC on the "Black Ice" tour to produce a fat, intimidating sound that drives the all important "groove" of the band.